Having a safe and easy way to manage your funds at an online sportsbook is paramount when it comes to choosing a bookmaker. Most sportsbooks accept a wide range of payment methods, which is important in order to retain a wide punter base. While you will almost always have a decent selection of deposit methods to choose from, the one thing you should pay attention to is the withdrawal methods on offer. There are times when the withdrawal options may be scarcer, with the most common being bank transfer. Look for credit cards, Skrill and Neteller, too, since bank transfers usually go hand in hand with prolonged processing times, which means it takes longer for you to receive your winnings. On this page, we take a look at the most common payment methods you will find at online sportsbooks. Without a doubt, credit cards are the most popular banking option at online betting sites. There are numerous credit card companies, but the brands most commonly accepted at sportsbooks include MasterCard, Visa and Maestro. This is good news, especially, for MasterCard and Visa cardholders as there is ample choice when looking for a safe online bookmaker. While American Express is also popular, it’s not commonly accepted at betting sites compared to the others. Punters can still find reputable bookmakers who accept America Express, but the choices are a great deal more limited. Besides a long list of sportsbooks to choose from, another advantage for credit card users is that deposits are typically credited to their betting accounts instantly. In fact, making a deposit or withdrawal takes just a few quick minutes to complete and you only need to enter your card details once. One point worth noting is that most card providers consider deposits as cash advances rather than purchases, which is why users often face higher interest rates. Punters who prefer to use their credit card should also be aware of any fees associated with their transactions. Some do charge a small fee. Card providers also charge currency conversion fees, so be sure to pick a sportsbook that offers the same currency as your card. 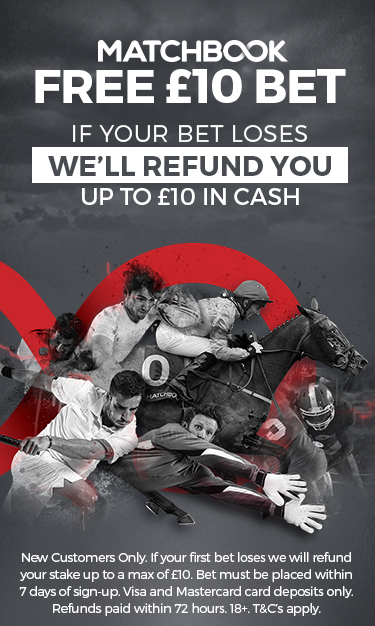 It’s also important to check with both your credit card provider and your online bookie of choice to find out whether or not any fees will be imposed on your withdrawals and deposits. Also remember that some online betting sites only offer credit cards for deposits but not for withdrawals. Traditionally, financial institutions issue debit cards so that you can withdraw funds from ATMs or make purchases of services and goods, both offline and online. When you use your debit card to pay for something or withdraw cash at a machine, the funds are deducted from your bank account immediately. Just as with credit cards, the most popular brands accepted at bookies are MasterCard and Visa debit cards. Deposits to your betting account are instantly credited when you use a debit card and transactions are done the exact same way as credit card transactions at online sportsbooks. E-wallets have become an incredibly popular option over the past few years. You can open up an e-wallet account and deposit funds into it using several popular payment methods, including online bank deposits and credit and debit cards. Once you’ve funded your e-wallet, you can then process payments to your online sportsbook account. 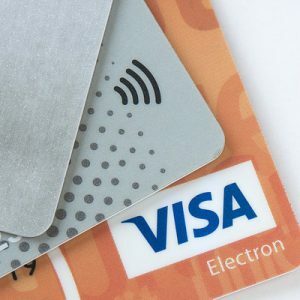 There are a wide range of e-wallets to choose from, but if you want to use one to deposit and withdraw from an online bookie, you need to pick the right one. The most popular options you’ll come across include Neteller, Skrill and Entropay. InstaDebit and Webmoney are also good alternatives. A good majority of sportsbooks accept e-wallets today, amongst them some of the most reputable brands in the online betting world. As for processing speeds, e-wallets tend to be the fastest for both deposits and withdrawals. Your betting account can be instantly credited in most cases while withdrawals are usually processed anywhere from instantly up to a day or two at the most. An important point to remember when it comes to e-wallets has to do with withdrawals. When you want to withdraw your winnings from your preferred online betting site, there is a processing time for withdrawing from the sportsbook to the e-wallet and then another processing time as you wait for the money from your e-wallet to reach your bank account or credit card. Make sure you are aware of any fees, too. The sportsbooks can charge withdrawal fees, as can your payment processor, your bank or your credit card company. In reality, these fees, if any do apply, are extremely small compared to some other payment methods. Finding a way to send and receive money electronically without incurring any fees is nearly impossible, no matter which method you decide to use. On the other hand, the inconvenience of fees is quickly offset by the convenience and speed of e-wallet payments. Take note that some e-wallet deposits may not be eligible for a sportsbook’s welcome or deposit bonuses. Make sure you carefully read the terms and conditions before you take your bookie up on a bonus offer. Despite much resistance on the part of many sports punters willing to continue using credit or debit cards for online payments, more and more new methods are appearing, and PayPal is one of them. PayPal started off as a relatively small business with the aim of facilitating money transfers. However, the brand rapidly grew into one of the largest deposits and withdrawal methods on the market. Online gambling, and particularly sports betting, opened up brand-new horizons for PayPal as it began allowing users to store their money on a digital account, just like with e-wallets. By this time, PayPal had reached significant proportions, which is why online sports bettors very rarely have a tough time using it for their favourite online bookies. PayPal, particularly, is famed for its attention to security. The brand makes use of an SSL certificate to ensure encryption of all your personal information. It also takes customer satisfaction seriously with hands-on customer support and liberal withdrawal and deposit limits. On the downside, some bettors aren’t fond of the fees it charges for credit card funding, however, PayPal remains a decent alternative to debit cards for online betting. It’s coming for online sports betting sites to accept bets via direct bank transfers. This means you can transfer your funds directly from your bank account to the site’s account. Typically, sportsbooks use services such as Citadel Direct in order to facilitate bank transfers. Some also allow for direct deposits via Electronic Funds Transfer (EFT) or by paying a visit to your local bank teller. If this is your preferred deposit method, the betting site will provide its bank account details so you can make your deposits. You may have heard of prepaid cards or e-vouchers. Either way, they are a great choice for bettors who don’t have a line of credit or access to a bank account and those who are extremely wary about the online security of their personal and banking details. Pre-paid cards are also perfect if you want a way to remain totally anonymous when you place your sports bets online. You can buy prepaid cards at a land-based shop, for cash. That means you never have to reveal your identity or banking information. When you purchase your card, you’ll receive a unique PIN number, which you can then enter at your preferred online betting site to transfer funds to your player account. The only downside with prepaid cards is that you cannot withdraw your winnings to them, so you’ll still need to pick another banking method when it’s time to cash out. Some of the most popular prepaid card brands accepted at online sportsbooks include Flexepin and Paysafecard. You can also get your hands on prepaid MasterCard and Visa gift cards in some countries, and those can be used anywhere that accepts MasterCard and Visa payments. Right at the cutting edge of digital payment services is the use of crypto currencies. Bitcoin is usually the most popular. This “digital cash” can be purchased online to pay for a wide range of services and goods. More and more online betting sites are starting to accept crypto currency as a payment method, and it offers an interesting option for punters who place importance of the privacy of their betting activities. Most people wanting to use a payment method online are concerned about safety and security. Nobody wants their banking details or personal information to fall into the unscrupulous hands of fraudsters. However, when you bet at a reputable online sportsbook, you can rest assured that your transactions are safe provided you take a couple of steps to protect yourself. Whether you choose to use a debit or credit card, a prepaid card, an e-wallet, bank transfer or Bitcoin, you need to ensure you’re betting at a trusted entity. Always take the time to check out the site’s URL in your browser’s address bar. It should start with HTTPS://and not HTTP://. This tells you that the site is secure. What’s more, secure sites carry SSL certification and use the latest encryption software – and that goes for both online sportsbooks and online payment methods. This software protects your information. All the online sportsbooks that we recommend at Betopin tick the right boxes when it comes to safety and security. That means you can place your bets knowing you are betting in a licensed and secure environment. If you are every wary about handing over your bank account or credit card information to an online betting site, make sure you use one of the alternative online payment methods we have mentioned for the utmost security.